10 pairs of wooden cards which are printed with pictures of opposites. The child understands concepts of opposites by pairing the pictures together. 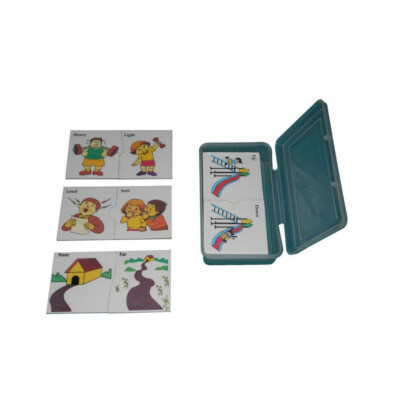 Durable material as cards are made of wood for longevity . Comes packed in a wooden box for easy storage.